Breakfast , start your day by visiting Amman with the new and old parts of the city, a beautiful panorama for the ancient down town , then transfer to Jerash, one of the best preserved Greco Roman cities in the Middle East, continue to Ajlun Castle, this Islamic castle which was built by Saladin to control the iron mines of Ajlun. Then you will see Umm Qais, a city rich with basalt ruin and overlooking for Jordan Valley. 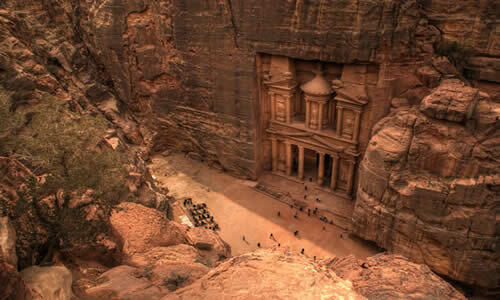 Transfer to Madaba dinner & overnight stay in a Hotel. 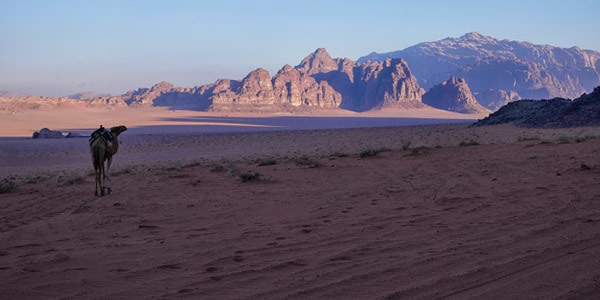 Breakfast , By bicycle visit Madaba you will visit St. Georges’ church and church of the Apostles for ( 1 Hour ), then continue by bicycle for 1hour to arrive to Mt.nebo the alleged burial site of Moses, overlooking the Jordan Valley and Dead Sea. 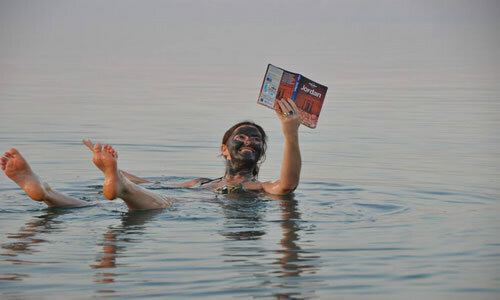 Then continue to dead sea it will take 2.30 hour to arrive to dead sea , Dinner & overnight stay at hotel . 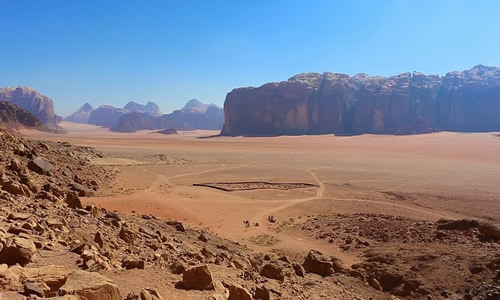 Breakfast , By bicycle to wadi mujib it will take 2 hours visit wadi mujib through the beautiful canyon in Jordan with a lot of sweet water then continue bike to wadi al hassa 3 hours visit wadi al hassa trek for 1:30 in the water , Dinner & overnight Camping in wadi al hassa . Breakfast , by car transfer to al tafeileh around 1 hour driving up from there start by bicycle down to Dana 2 hours , visit Dana trek there 2 hours Dana is nature reserve, which is composed of a chain of valleys and mountains extending from the top of the Jordan rift valley down to the desert of Wadi Araba Dinner & overnight Camping . 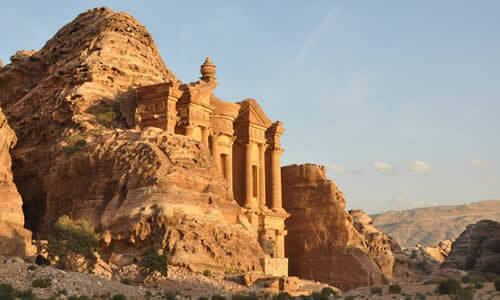 Breakfast , By bicycle for 2 Hours from Dana down to shobak castle visit the castle then bike to al hiesha 1:30 hour to see the beautiful view of little Petra the continue down to little Petra 1 hour bake , Dinner & overnight Camping in little Petra . Breakfast , with guide , trekking visit of little Petra , Stone age village via Siq Grab ( natural canyon ) Badah (Nabaeatean agricultural fields and water irrigation system ),via the shade of mountains overlooking Araba canyon to Monastery ( Nabateaen temple ) ,down to the City center ,visit of the Museum ,temple of Qasr Elbent ,continue to the snack monument south of Petra over looking Petra center, Dinner & overnight stay at the cave inside Petra . 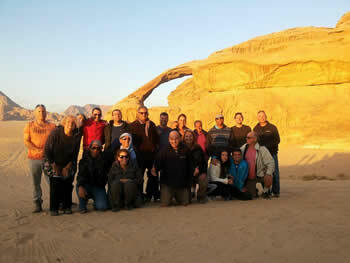 Breakfast ,Transfer to wadi rum 2 hours, start by camel riding in wadi rum for 7 hours, Dinner & overnight camping . 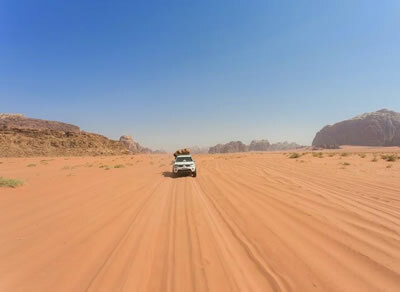 Breakfast , by Jeep discover wadi rum for 7 hours , Dinner & overnight camping . Breakfast,Transfer to Aqaba 1 hour . 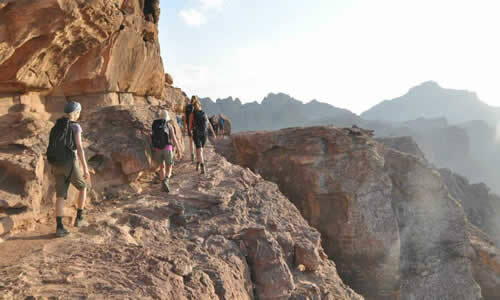 you will enjoy red sea: experiencing snorkeling, glass bottom boat, and after if you want shopping. Dinner & overnight stay in a Hotel. Breakfast , Free time , Relaxing , Dinner and overnight stay at hotel .